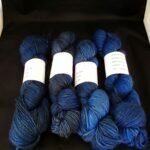 Hand dyed yarn alpaca, wool, silk, 252 yards, 100 g., worsted weight. 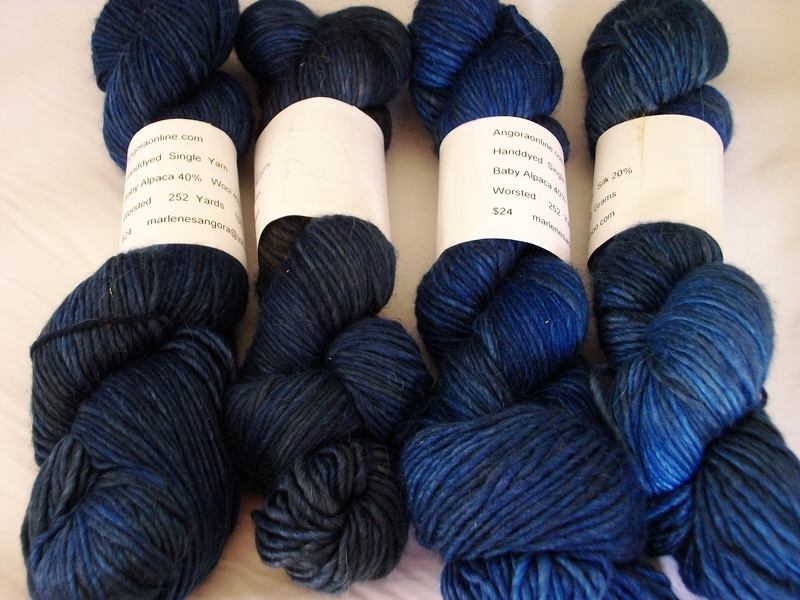 This hand dyed yarn is 40% baby alpaca, 40% wool and 20% silk. 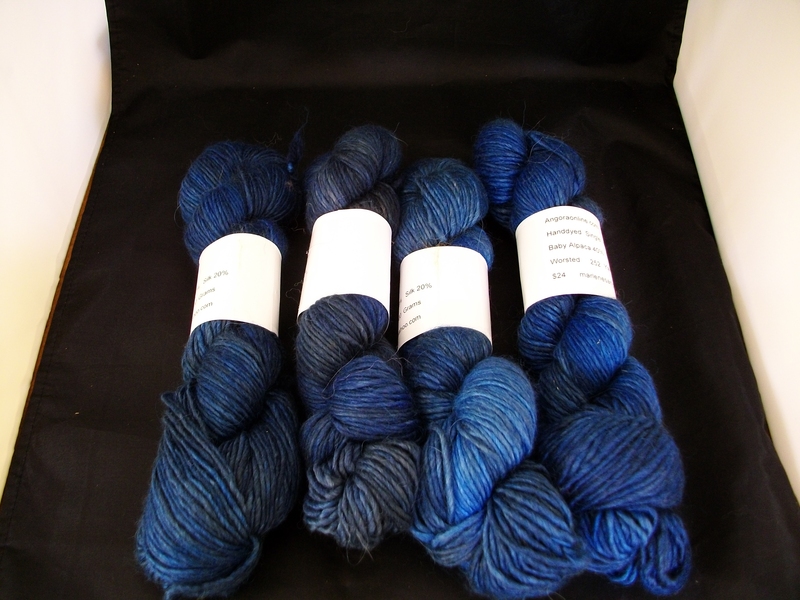 This soft hand dyed baby alpaca/ wool/ silk yarn is single ply and was hand dyed using professional dyes. 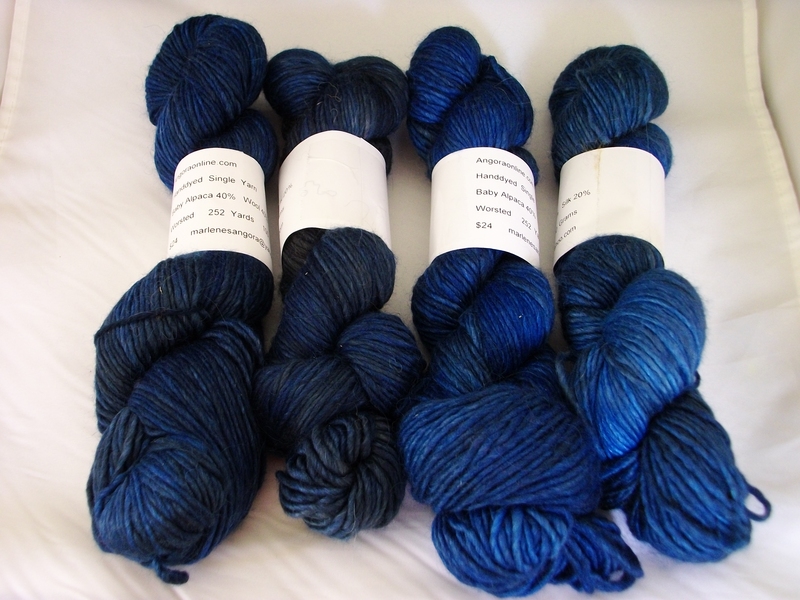 Each skein has 252 yards, 100 g., worsted weight, single ply. 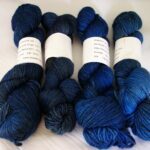 Hand dyed in dark blue, navy blue with a bit of black, because these are hand dyed there is a natural variation of color from skein to skein. 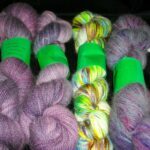 All these skeins are hand dyed using wash fast dyes, like all my other hand dyed yarn these are professional dyes, so there will be no fading/ bleeding of colors. 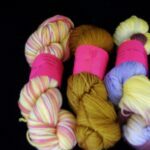 This soft yarn can be used for a cowl, baby items, mittens, sweaters, hat, scarf.